This 10 mm Round-Cut Simulated Diamond Engagement Ring in Sterling Silver wedding band will catch her heart. 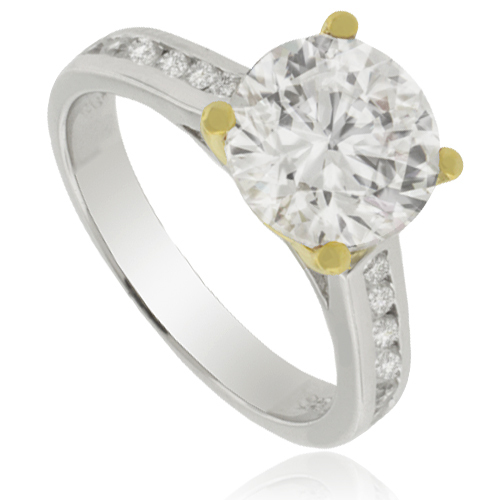 Created exclusively from a 14k yellow gold plated four-prong setting, a confirmed round-cut simulated stone is just fabulous. Sparkling, channel-set on both sides of the band also adds a rich design. Propose to the one you love with the ring she always wanted.